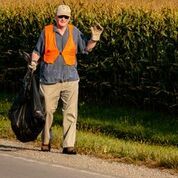 FCMR Club Members - Highway Clean up! 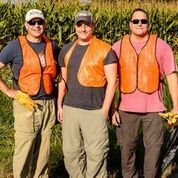 Service Above Self - We enjoyed a service project on September 13, 2017. 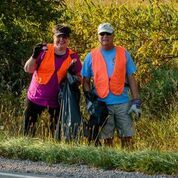 Highway Clean up on HWY G! Thank You to the Club Members that were able to participate: George, Sue, Andy, Doug, Greg, Bryan, Bill and Jeff. FCMRC enjoyed learning about the history of Neenah and Menasha from Howard Healy! This last Tuesday morning we heard from two of the students that we had sponsored to attend the 2016 World Affairs Seminar (WAS). Bill Mattes and Mark Keating receiving Paul Harris Awards. 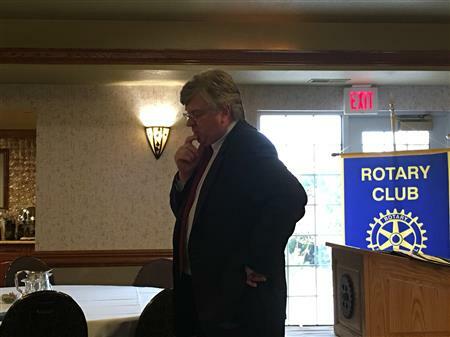 Appleton Mayor Tim Hanna presented to the Breakfast Rotary group on March 15th and discussed the Appleton Conference Center. The land for the Exhibition Center has been officially purchased and the building is hoped to be completed in 2017!! Exciting developments for the Fox Cities Community! Dr. Justin Krueger provided some wonderful music this morning, Tuesday, May 12th, while explaining his dissertation titled, "A Portrait of Contemporary American Music." Dr. Krueger works in the Twin Cities Catholic Education System. Please take a moment to watch our local talent perform some wonderful pieces from contemporary, American composers. The following items were discussed this morning at the Carnival meeting. From last year’s suggestions it was noted we should have a central well identified location to sell game tickets. Greg will provide a 10 X 10 pop up tent. We will ask Jim to bring a couple of additional tables for the “ticket booth”. Mark will get several signs made to identify the booth and give the price of tickets. We will ask Jen to e-mail the graphics of the small game signs we have from previous years. If we need changes to any of them we need to decide soon. It was agreed to cage the prizes levels on the Clay Pigeon game. The levels should be a red prize for one broken pigeon, white for two and a blue for three. Greg and Bill will see what we have to contain thrown balls on the 1st.. We may need to supplement backstops. We discussed that we want happy kids but these still are games of skill. Remind volunteers not to be overly generous giving out prizes. Greg and Bill will join the Park and Recreation crew on Tuesday, July 1st. to get games out of the Old City Garage starting at about 9:00 AM. They will be taken to the Riverside Pavilion and locked up there. We will get a key. Set up of the big game pieces and tents will be Thursday, July 3rd., time to be announced. Final set before the games open on the 4th. We will take balance of the Club logoed t-shirts to the Park on the 4th. and give them away until gone for a “donation”. Money to get started and how to handle the money we take in was discussed. It was decided this will be Larry’s call. It was the understanding of the group present that Sam is working on a prize display preferably where the winners can’t actually touch the prizes. Bruce indicated that while he still has slots to fill for volunteers to run the games he didn’t think we would have a problem filling all the slots. Actually if we have a nice day it would advantageous to have a couple more people to help than we had last year. set up and take down looked to be well covered. Below is a list of events happening in our district during the months of June - August. The next list will come out on July 1st. Make sure you visit our website at Rotary 6270 for complete details and contact people for each of these wonderful events. Good luck to all of you!! Thank you to Pat & Kathy Mahoney for sharing the photos below from the District Conference held in Oshkosh on Saturday, April 26, 2014. Below you will find an email from Orbis, the President of our Rotaract Club - it is quite beautiful. Thank you to the Rotarians who stepped up to make this happen! Below please find information regarding the Archery Build. If you have any questions, please feel free to contact Mark Keating. FCMRC is partnering with the City of Neenah Parks and Recreation Department and Appleton Scheels to construct a raised shooting platform for the new Neenah Outdoor Archery Range on Friday and SaturdayMay 9th and 10th. Howrah District, India (CNN) -- Rukhsar Khatoon is too young to fully grasp the significance of her life: that she is a last in a country of 1.2 billion people. She has become the greatest symbol of India's valiant -- and successful -- effort to rid itself of a crippling and potentially deadly disease. Rukhsar, 4, is the final documented case of polio in India. It's time for our annual day of fun in the sun! Please contact Jim Webb or Meghan Healy if you are interested in volunteering. Have you put together your fabulous "fore-some" yet? Let's get our and golf! Here is what's happening in District 6270! Below is a list of events happening in our district during the months of December and January. The next list will come out on January 1st. November 29 – December 28, 2013 –Making Spirits Bright sponsored by the Sheboygan County Rotary Clubs. Open every night except Christmas Eve from 5:00 p.m. to 9:00 p.m.. Admission is free, however, donations for the Sheboygan County Food Bank greatly appreciated. December 12, 2013 - Milwaukee Symphony Orchestra's Holiday Concert sponsored by Cedarburg-Grafton Rotary Club at the Cedarburg Performing Arts Center. Advance ticket purchase recommended. See our website for complete information. January 25, 2014 - Fond du Lac Morning Club presents Wine Around the World at the Thelma Sadoff Center for the Arts. April 25, 2014 – District Conference - Great things are planned for the 2014 District Conference at the Best Western Waterfront Hotel & Convention Center in Oshkosh, WI. Conference Banquet and Tours at the EAA AirVenture Museum. Planning ahead - The Lake Geneva Rotary Club is holding its annual Women's Weekend on April 25th-27th, 2014. Early registration is encouraged. What's happening in District 6270? Make sure you visit our website at Rotary 6270 for complete details and contact people for each of these wonderful events. Good luck to all ofyou!! November 1- November 20, 2013 - Rotary Club of Wauwatosa Holiday Fundraiser - The Rotary Club of Wauwatosa is selling Holiday tins of nuts. These are top quality mixes at reasonable prices. They make great gifts for clients, family and friends. Order forms due by November 20th. Plan on an early December delivery. 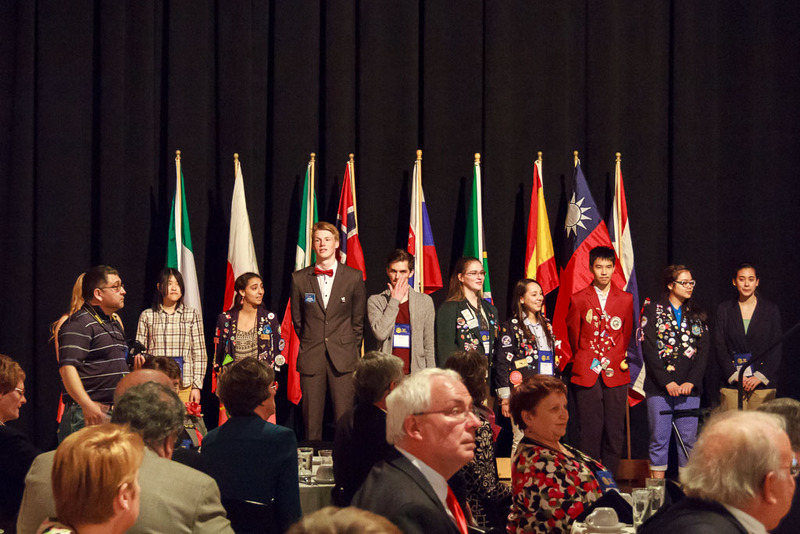 November 14, 2013 - Ripon Rotary's Wines of Wisconsin and the World - You'll have the opportunity to taste some wonderful wines from across our state as well as some exotic ones from around the world. Silent and live auction items will be available as well. November 29 – December 28, 2013 – Holiday Lights sponsored by the Sheboygan County Rotary Clubs. Open every night except Christmas Eve from 5:00 p.m. to 9:00 p.m.. Admission is free, however, donations for the Sheboygan County Food Bank greatly appreciated. for each of these wonderful events. Fox Cities Morning, Neenah and Menasha Rotary Clubs had another wonderful and successful Seafood Fest at Jefferson Park in Menasha. Below is a list of events happening in our district during the months of September and October. The next list will come out on October 1st. Fox Cities Morning, Neenah and Menasha Rotary Clubs' annual Seafood Fest is just around the Corner! Friday September 6th and Sunday September 7th! Visit www.seafoodfest.us for all of the details! games station at CommunityFest in Neenah. Members of the organization ran a total of seven game stations, including: the Little Squirt Regatta, Pick a Duck, Knock ‘em Down, Ball Toss, Break a Target, 3 in a Row, and Ring Toss. Children had chances to win prizes ranging from bouncy balls to sunglasses to festive 4th of July hats. At only 25 cents per game, getting involved was affordable, offering both great value for family entertainment and providing an outlet for good old fashioned togetherness. This is the second year FCMRC organized and ran the station, which has become a signature volunteer event for the organization. While the event started out as a fundraiser, it has become more of a community service event for the group, with any profits being reinvested into games and prizes for the following year. Volunteers estimate that a total of 4,000 games were played, equating to one game being played every seven seconds. 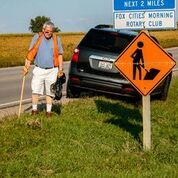 Fox Cities Morning Rotary Club (FCMRC), established in 2009, is a multi-generational service organization, committed to: community building work and humanitarian projects, modeling high ethical standards, promoting healthy and sustainable initiatives, and providing leadership for today and tomorrow. FCMRC’s vision is to foster collaboration with others locally and internationally to encourage: positive action and doing, diversity of ideas and learning, and use of technology to communicate and bring people together across generations. The organization values: service above self, living the 4-Way Test, hands-on projects and services, and building caring relationships both personally and professionally. For more information, please visit www.fcmrc.org. 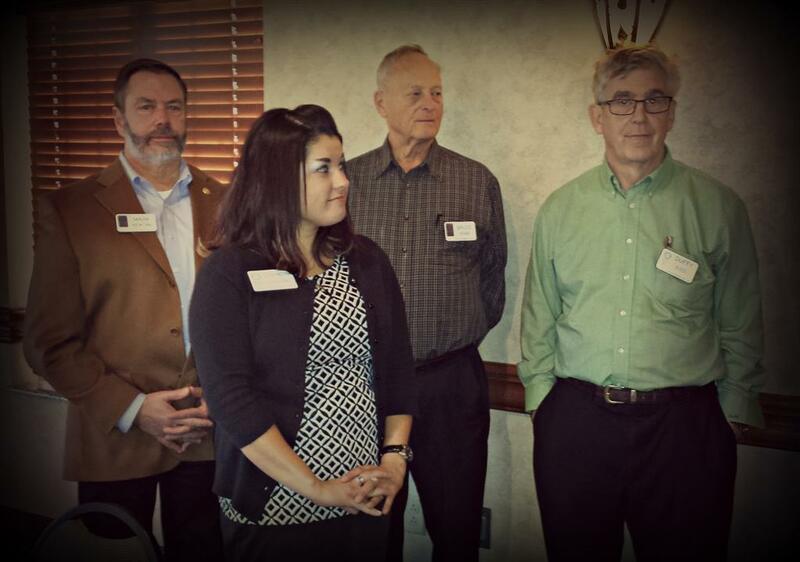 Like Fox Cities Morning Rotary Club on Facebook. For decades, the small, pastoral communities in northern Kenya have been caught in a cycle of violence. Tribes have shed blood over distrust, scarce resources, and the theft of livestock. Rotary Scholar Monica Kinyua founded the Children Peace Initiative (CPI) Kenya with her twin sister, Jane Wanjiru, to end the fighting by building friendships between children from different tribes. FCMRC President Bill Mattes and Jim Webb visited Beaming Inc.'s riding facility and presented them with a check from for $3,500.00. Appleton, Wis. – On Saturday, May 18th, members of the Fox Valley Technical College Rotaract Club did some spring cleaning that will benefit countless members of our community. Eleven members of the club, divided into two groups, cleaned a total of six bus shelters from top to bottom in the North East Appleton area. The principal purpose was to offer Valley Transit riders clean bus shelters in which to wait for a ride. This activity was coordinated with Valley Transit of Appleton. 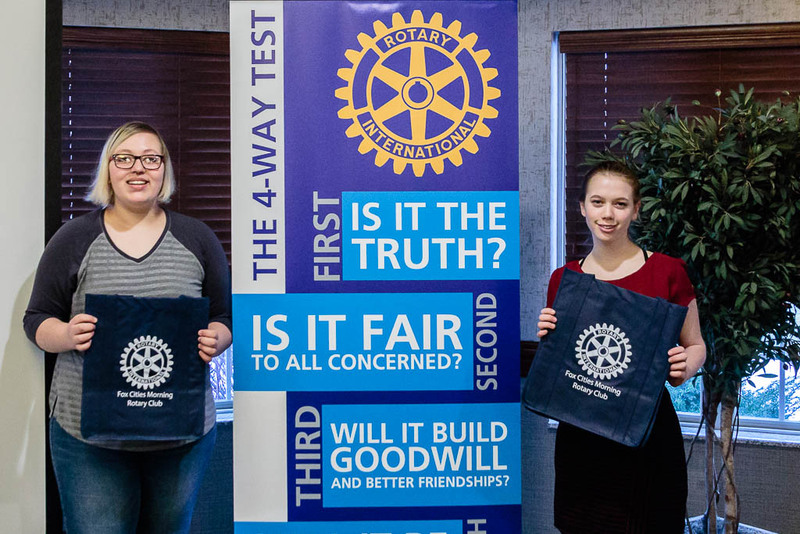 The FVTC Rotaract Club was organized, with assistance from the Fox Cities Morning Rotary Club, during the 2012–2013 school year and boasts 13 total members. 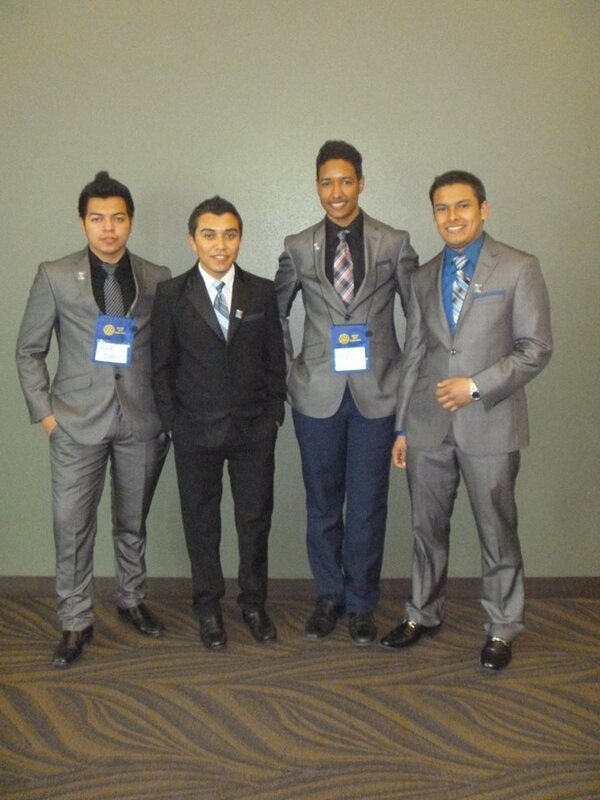 The group strives to provide an opportunity for FVTC students to enhance the knowledge and skills that will assist them in personal development, address the physical and social needs of their communities, and promote better relations between all people worldwide through a framework of friendship and service. The group decided to complete at least two major service projects per year, one to serve the community and the other to promote international understanding, and plans to organize a second outing to clean bus shelters in the near future. 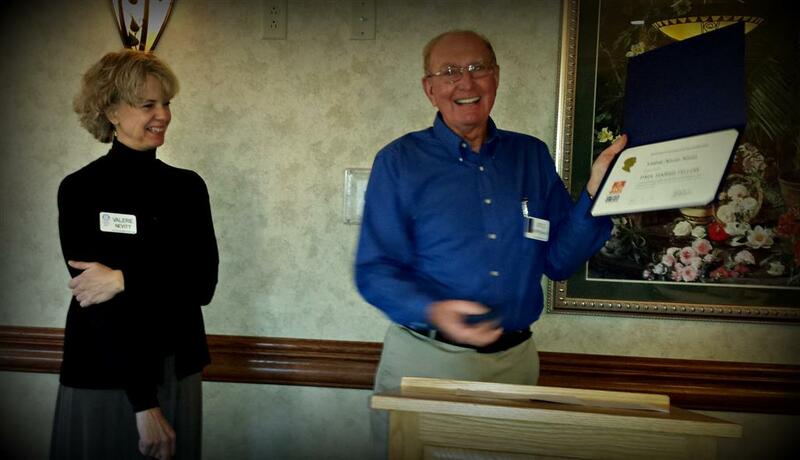 The Fox Cities Morning Rotary is a new club in District 6270, receiving its charter in 2010. 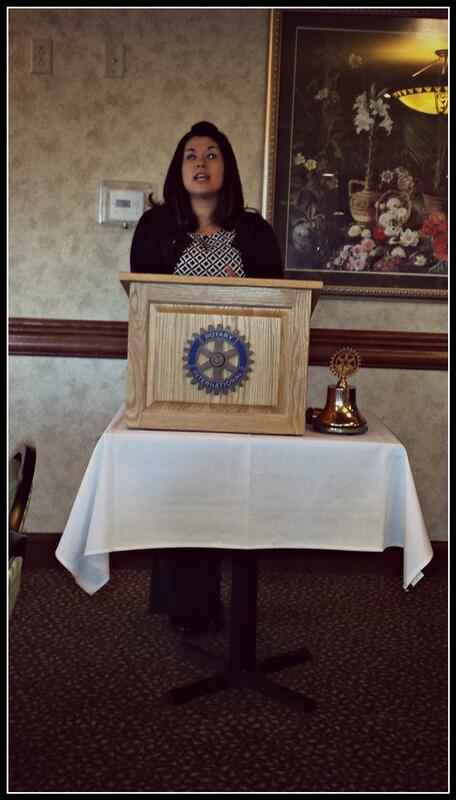 The club was started to offer the members of area clubs another option to a noon meeting. Ten members of the noon clubs became the core of the new morning alternative. Since the club was conceived, it has been able to attract a number of new members and now has a membership of 34. The new club enlisted assistance from the District and had a visioning session before it received its charter. One result of the visioning session, was the Club set a goal of finding a International project which involved sanitation and clean water. The project adopted would include the opportunity for hands on participation. 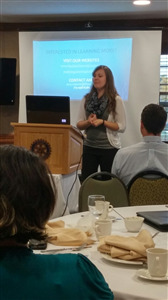 About the time the club received its charter one of its members became aware of Dr. Katherine Wolf’s project in Haiti. Beyond the goal of providing health care and building a clinic in a very poor part of Haiti, Dr. Wolf and her partner, Cherlie Severe, wanted to assure a safe water supply for the people the clinic will serve. 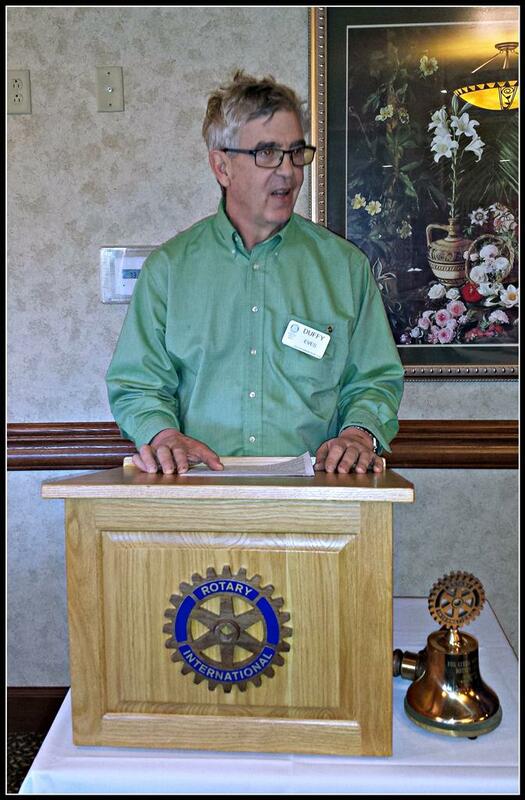 In November of 2011, Dr. Wolf spoke to the Fox Cities Morning Rotary Club and they decided this was a clean water project worthy of their support. · Dr. Wolf, who has a degree in Public Health, has done a survey of the water supplies in the area served by her clinic and has developed a plan to assure clean water for the residents. · Her plan begins with educating key residents to become the lead people in teaching basic sanitation. As is often the case, the residents unwittingly pollute their own water supply. 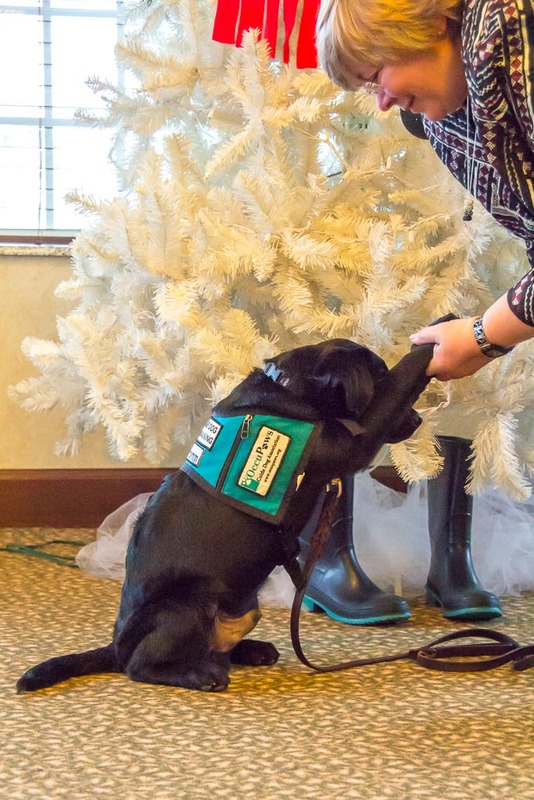 · Dr, Wolf will be receiving assistance in developing education materials and with future water surveys from John Hopkins School of Nursing faculty and students. 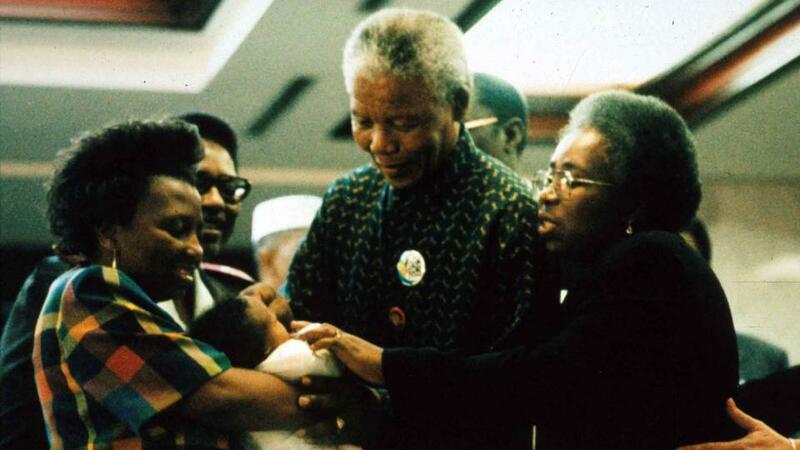 · In all that Dr. Wolf has done, she has made sure there is buy in and participation by the people being served. This, along with education is a key to sustainability. · Her plan also, includes physical improvements to preserve clean water for the people of the clinic service area. These consist of providing properly located latrines, capping wells and springs and possibly new wells and water purification. · These potential improvements will provide an opportunity for on the site assistance. 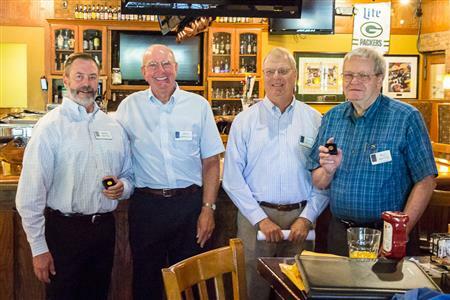 · Last but not least, Dr. Wolf is a Green Bay Packer fan. FCMRC provided money in 2012 to kick off Dr. Wolf’s clean water plan and will be making a contribution again this year. Unfortunately the total project for the next 3 to 4 years is larger than FCMRC can fund on its own. 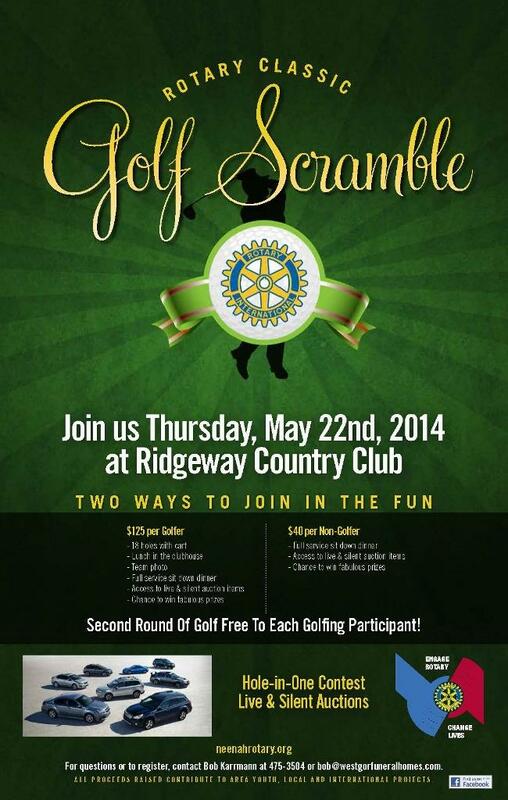 We are asking our fellow Rotarians in District 6270 for assistance. Please consider making a donation if you believe in Dr. Wolf’s project and/ or recommend it to your Club so they can participate. P. S. As hands on opportunities are identified we will notify Clubs that contribute and maybe you can join us at the Clinic in Gatineau, Haiti. 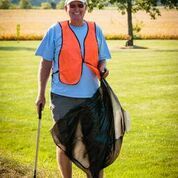 Annual Clean-Up of the Neenah Slough (water & shoreline). Event starts at 8am sharp on 05/11/2013 and concludes at/or around noon. Dress for the weather & to get dirty. No open shoes - wear sturdy shoes. If you plan to bring a canoe or kayak, please call our office & inform us @886.6060. If you have waders or hip boats, bring along. 13 & under must be accompanied by an adult.